There haven't been many visitors so far this year. Only Kiki, Amiri and Scruffles have been visiting, and even Amiri hasn't been seen for several days. 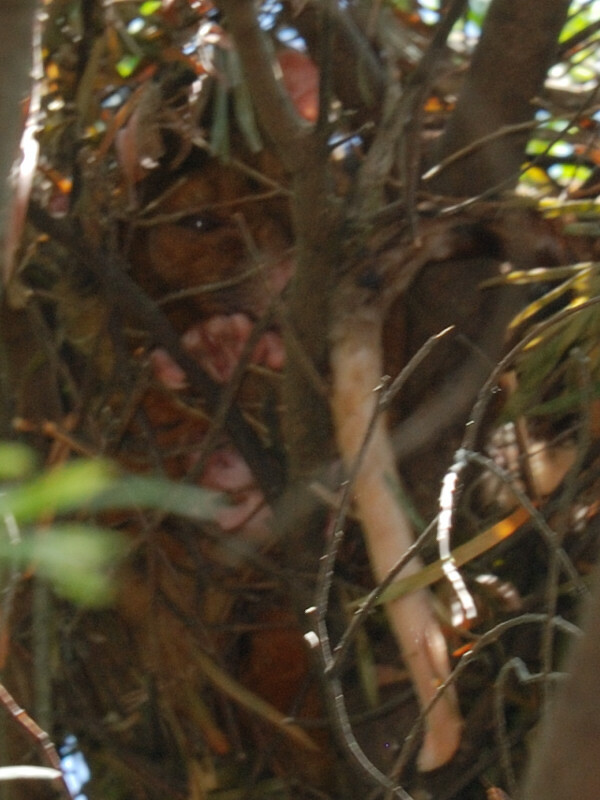 Here's the latest photo I have of him, just after he was chased into a tree by Kiki. Kiki is looking healthy and her latest baby is bulging her pouch significantly. 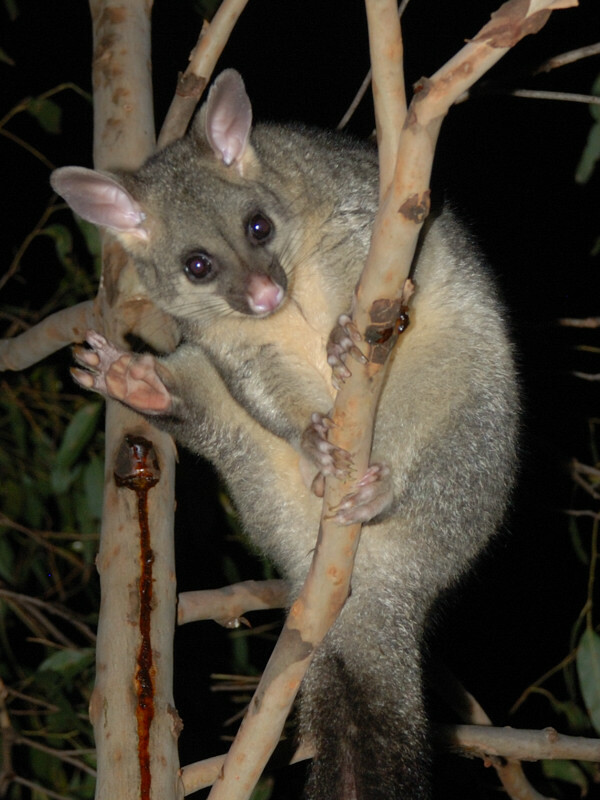 There have been no parts of the baby seen poking out of the pouch yet. While I would hardly call him tame, Scruffles has been taking food from hand and will often sit on the balcony rail like a possum to eat it. Wasabi hasn't been seen since early December. There have been occasional sightings of other ringtails, including a male ringtail seen a couple of weeks ago. I don't know whether this means the male ringtail has chased Wasabi out of the area. Ringtails aren't meant to be as territorial as brushtails, but I don't recall ever having seen two adult male ringtails in the area at the same time. 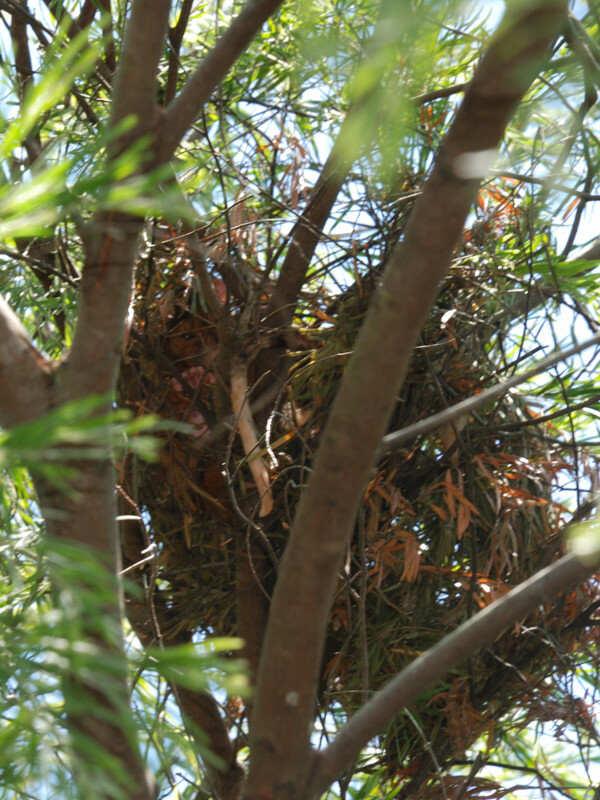 At the beginning of the month I spotted a ringtail possum drey (nest) in a wattle tree out the front of the house. It looked exactly like a bird's nest, but the possum tail dangling out of it gave it away. There was definitely a female ringtail in it and there may also have been babies; I couldn't tell for sure. It looks like a flimsy sort of structure and not all that safe, however I've read that a drey like this is better protection against pythons than a tree hollow or nestbox. 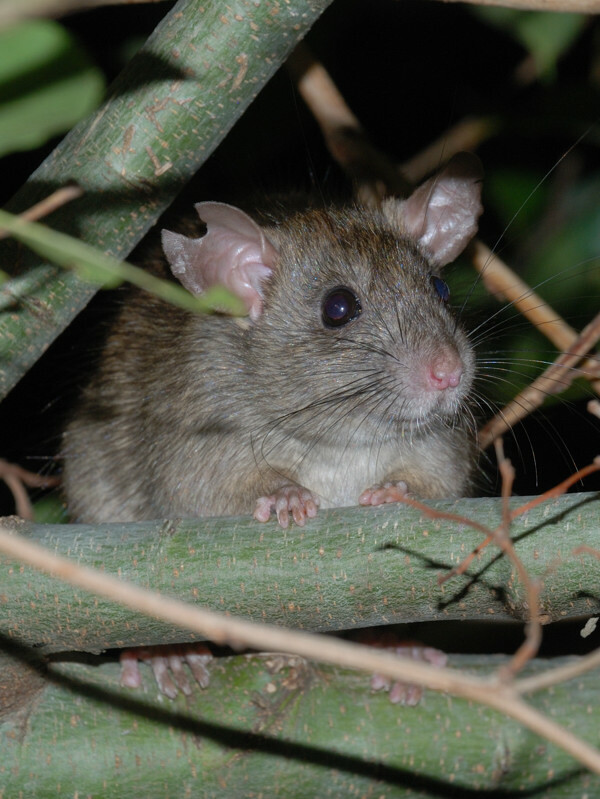 The theory goes that the possum deliberately builds the drey on thin branches so that when a python approaches, it shakes the drey, giving a warning to the possum(s) inside. Also, it looks like the loose construction gives multiple avenues of escape. Go away, I'm trying to sleep! When I checked a few days ago, this drey was unoccupied and it now seems to have mostly fallen apart after a recent thunderstorm. 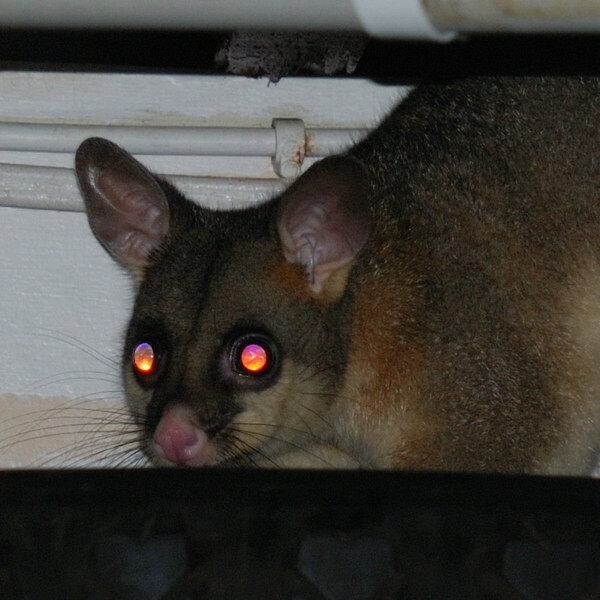 This drey was directly exposed to the afternoon sun and we've recently had some hot weather (although not nearly as bad as the Southern states), so it's possible that the possum(s) have moved to a cooler residence in the back yard. A couple of days ago, a male brushtail appeared on the hand rail and jumped into a tree when I approached. I've never seen this one before. The patches on his face look to me a bit like he's had exudative dermatitis and it's cleared up on its own, which would be very unusual if true.This initially made me think it could be Baxter, who had an infection on his face when last seen in September last year, but looking at Baxter's photo it seems like this is a different possum - apart from anything else, the latest possum is much more rufous. I'm thinking that this possum has been around since last year and most likely has been mistaken for Dexter a number of times. What makes things more confusing is that there's a good chance the Dexter seen in 2013 was not the original Dexter first seen in 2011, since the 2011 Dexter took food from hand, but the 2013 Dexter never did. Finally, I've added temperature sensors to boxes 3 and 6, and set up the server to automatically log box temperatures to database every minute. I'll try to work out some way of displaying the box temperatures as a graphical trend on the web site, but don't expect anything any time soon. For some reason, dreys seem to be exclusively a ringtail thing. 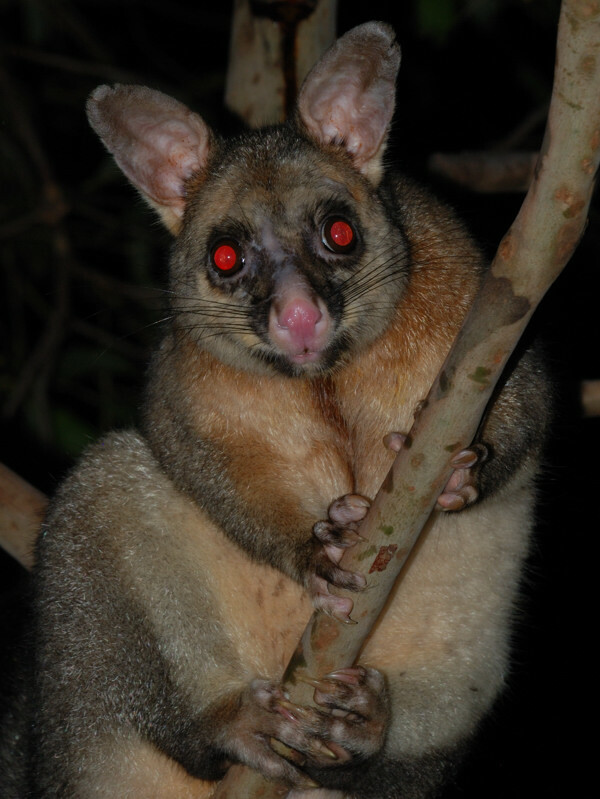 As you've seen with One Eyed Puss, brushtails will occasionally bring nesting materials into their nestbox, but they never seem to build dreys, even if they're forced to sleep out in the open. Also, just to let you know: Kiki slept in Box 7 today (for the first time in a long time) and her baby was out of the pouch and climbing around. This is the first time I've seen her latest baby. It's just barely furred but is alert and inquisitive and interested in exploring the box.